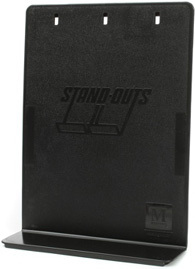 This is the 400 series stand, available in Black or Nickel finish. Quality construction made in the US. Model KB900. Includes tote bag. This is the original model, available in many colors. Same as the KB1E, but with a nut to lock the height firmly in place. Hamilton has a more contemporary look compared to Manhasset, and a more durable finish. This model sets the height automatically like Manhasset. Same as the KB1D, but with a clutch mechanism to quickly adjust height, and lock in place. 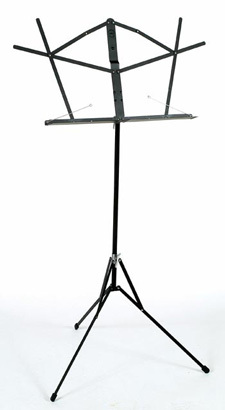 Same as the original orchestra stand, but has low overall height for Cellists and Guitarists. Black Only. 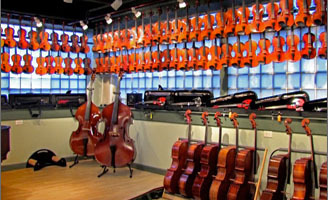 Same as the original orchestra stand, but has a double shelf for storage of accessory items such as a pencil or rosin. Black Only. 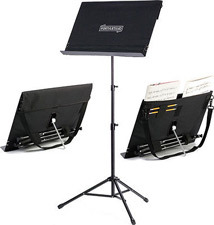 Like the standard orchestra stand, but with a folding tri-pod bas, for more compact storage/travel size. 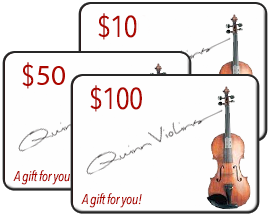 Popular gift item. Holds all sizes of phones, including the large iPhone 7. Quick adjustment to insert and remove the device. Gooseneck for easy positioning. 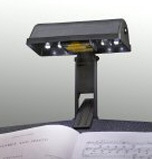 Attaches to music stand shaft or microphone stand. This molded plastic part fits Manhasset shelf, and some other brands, to add a second shelf below the desk. Does not fit Hamilton. Two are included as a set. 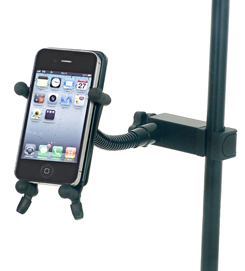 Attach one on either side of the desk of your Manhasset stand, to extend the width of your stand to hold more sheets. 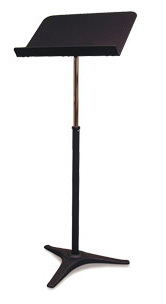 Set of three rubberized plastic feet cover the stand legs to avoid scratching the floor. Also helps to keep the stand from sliding. Only fits Manhasset stands (not Manhasset Voyager). 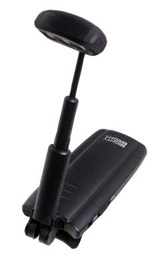 Holds a voyager stand, and other accessories. Shown with Voyager stand (not included). This fits other brands of orchestra stand. Includes a 40 watt incandescent bulb. AC Powered. Snap closure, purse-strap style handle. Black Nylon exterior. 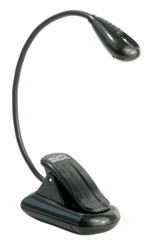 Battery powered, LED light with flexible neck for exact placement. Battery powered, 8 LEDs create a wide, even lighted area. Bluish white color increases contrast on the page, and reduces eye fatigue. Made in Iowa. 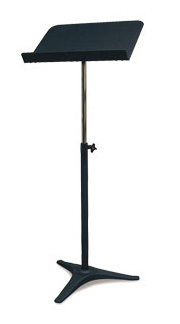 This is our most recommended stand light. Wide spread of lighting for large sheets. 6 bright white LEDs.